Manisha is the co-founder of LogiNext and leads the technology and product at LogiNext. She possesses over 8 years of rich design and development experience in business analytics and optimization. She has led workforces at IBM in the US and has advised global corporate clients on their technology issues for e-commerce and logistics. Manisha holds a postgraduate degree in Information Systems Management from CMU and an undergraduate degree in Electronics and Telecommunications. Prior to Carnegie Mellon, Manisha has worked for corporates liked Mastek (UK) and startups like C2L Labs (India). In her free time, she loves to travel and share her learnings with other budding entrepreneurs. 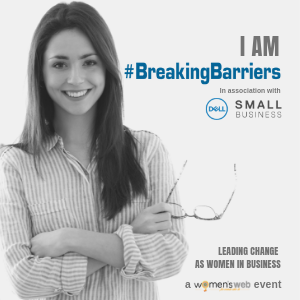 Manisha will be sharing her experiences with accelerating LogiNext’s growth and how she overcame the Money barrier, at the Women’s Web event, Breaking Barriers To Growth: The Money Edition. Get your pass now!